This event is hosted by Member of the European Parliament Maria Arena (Progressive Alliance of Socialists and Democrats), and is organized by Protection International and the European network for Central Africa (EurAc) and moderated by the the European network for Central Africa (EurAc). 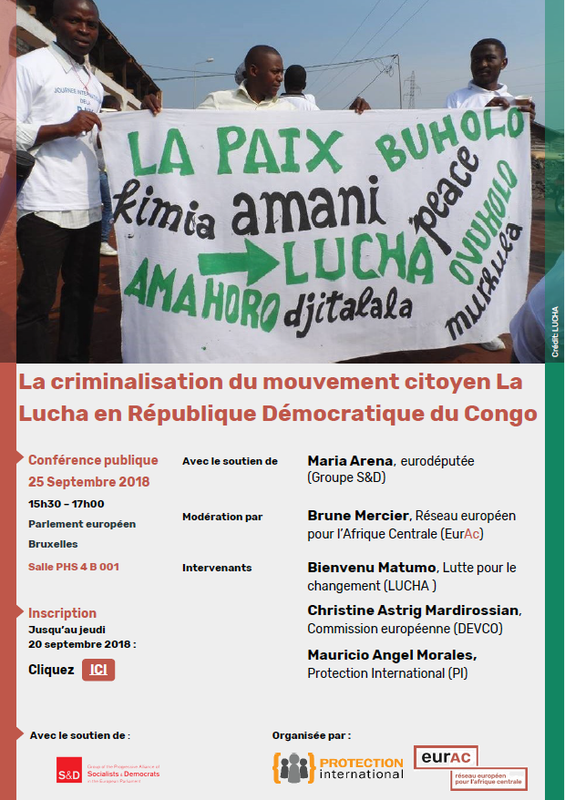 On this occasion, Protection International will present their report "La criminalisation des mouvements sociaux - Le cas du mouvement la Lucha en République démocratique du Congo" and the recommendations it contains to different relevant actors. Participants should register by Thursday 20 September by filling in the online form you find HERE.